reversecommuter is a huge fan of boots, and my ever growing collection of boots proves it! However, there comes a time in every New Englander’s winter when boots are replaced with shoe fantasies dancing in our dreams! Icky slushy messy months such as March and April beg for rubber soled shoes or permanent Hunter boots! And as previously mentioned, reversecommuter is over every single day boot wearing! Gucci loafers, classic. Rubber soles – Italian Genius! This entry was posted in accessories, Architecture, Art, Boots, Boston fashion, Boston suburb fashion, children, Cold Weather, Fashion, Footwear Trends, Magazines, Media, Shoes, Shopping, Spring Fashion Trends, Technology, Travel, Trending, Trends, Uncategorized, Winter and tagged Boots, boston fashion blog, Boston suburban fashion blog, Brunello Cucinelli, Car Shoe, cashmere, Celine, Chanel, fashion blog, Gucci, Gucci loafers, Hermes, horsebit, Hunter boots, Italian designer, Italy, Jonathan Simkhai, loafers, Lucky, mommy blog, mommy fashion blog, Mother jeans, New England, New England Winter, Patch.com, pony hair, rainboots, rubber soled shoes, snow, Spring, suburban fashion blog, suede by reversecommuter. Bookmark the permalink. Hi love, the boots are beautiful and I’m a huge fan of your first jeans, so cool together with the boots 🙂 🙂 ! ah, the ripped jeans – I know, I am kind of obsessed with them right now – really loving the Rag & Bone versions available. 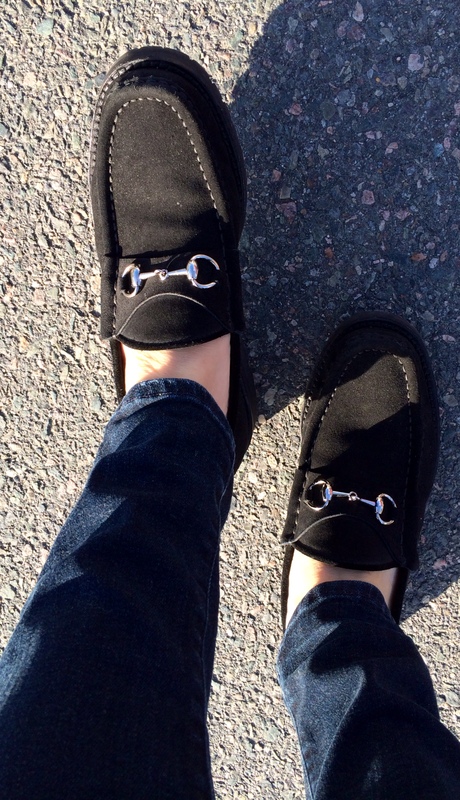 Gucci loafers = pure + timeless Italian elegance ! We have 8″ of snow right now – STILL sporting the Sorels. So. Tired. Of. Them. Argh! It is just not funny any more. Really. Woot!! Congrats on moving away from boots!! I cannot wait to do the same!! Hang in there winter sister! It has to melt soon…mental states are hanging precariously close to the edge!! Great loafers! I really like the first boots too! 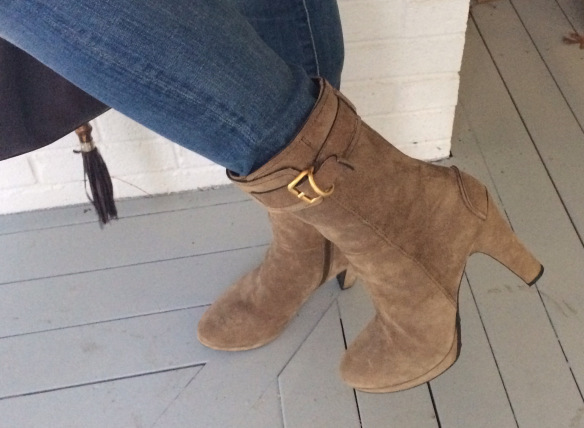 Thanks – I really cannot help myself when it comes to shoes…boots…clothes…oh boy!